This post is by a guest author. The views mentioned in this article are those of the guest author, and might not reflect the views of Local SEO Checklist. Many business owners view search engine optimisation as an expensive marketing strategy. However, that is simply not true. While it can be costly for local businesses to hire an SEO agency, you can implement most basic SEO practices for your business all by yourself. By following some SEO basics, you can easily get your website and business to rank better in local search results. Here are 5 no-cost SEO tips for helping your local business rank better. List your business information in local directories, other business discovery websites, and most importantly on Google My Business to kick-start local SEO for your business. Getting on Google My Business can increase your chances of showing up in Google’s Local Pack, Local Finder, Google Maps, and organic rankings in general. The Local Pack is a section of Google’s search results that shows the local business related to your query. The first step in any local SEO strategy should be to claim and verify your local business’ Google My Business (GMB) listing. 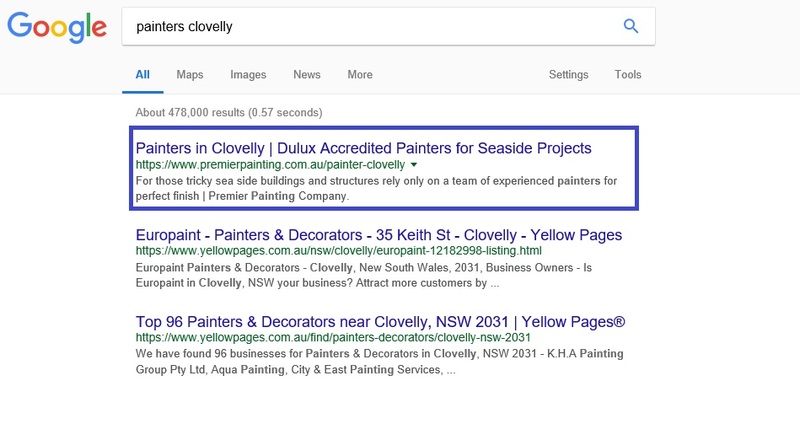 Google wants to make sure that you are the business owner and not an imposter who’s claiming to be the business owner. More importantly, Google My Business signals are also widely believed to be the top ranking factor for local packs. Getting your business ranked on other business discovery websites and apps such as Yelp, TripAdvisor, Yellow Pages, etc. is also important if you want to improve your chances of getting found by potential customers. If you feel like getting your business listed everywhere online is going to be time-consuming, you can use an automated listings management tool like Synup to get the job done for you. 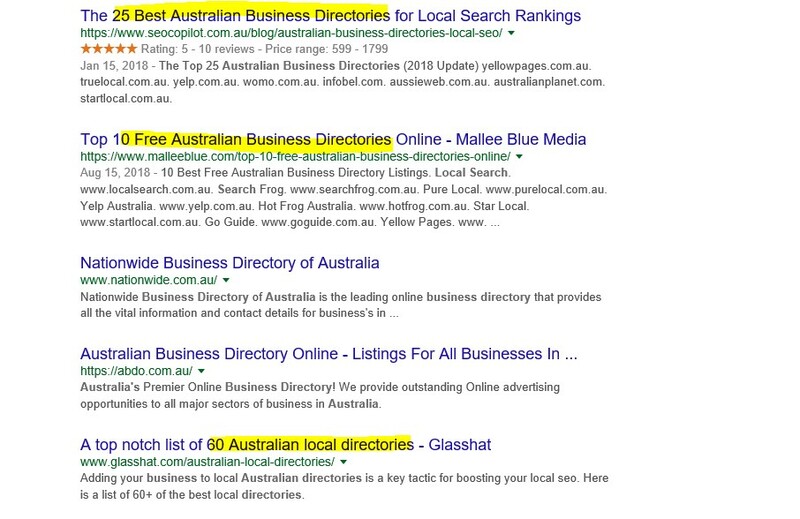 If you want to do it manually and you’re not quite sure about where to start, just Google “business directories in + Country” and you will find someone has already prepared a list for you. Try to maintain consistency in your NAP on as many of these directories. Wrong information may mislead Google in determining the right information about your business. Other directories and citation sites, and options like local newspapers are also available if you want to gain even more local citations for your business. Besides,we all know what Google Maps is, and what a crucial role it plays in helping customers discover your business. So, needless to say, it is quite important to get on Google My Business right away if you are a local business owner. Here is a step by step guide on how to get listed on Google My Business. Premier Painting provides service in Sydney and Suburbs. They have created distinct pages for all the locations like this Clovelly. This helps them appear in the local search quite easily. Using location-based keywords to optimize title tags will help you rank better on searches that users make with local intent. If you have a different address and phone number for different location based pages, don’t forget to mention them correctly. Pay attention to various kinds of local content. Try blogging about the ongoing matters of the locality. This is likely to engage people as they are generally interested in the ongoing local issues. Blogging is an effective way of increasing traffic and blogging on local happenings is a plus. You may also try getting local coverage. Talk to the local business journalists and maintain a good rapport with them – this will help you in the future when you have big announcements coming up, as well. Getting positive reviews from customers is very important for a business, since it deems your business as dependable, which will, in turn, help drive more traffic and convert more visitors into customers. 85% people trust online reviews as much as personal recommendations. People often search for reviews on a product or service before availing it. If you are looking for a beautiful place to eat, you cannot go to all the locations by yourself and check if it’s good or not. Perhaps you could read the reviews of others visiting a particular restaurant and take a decision judging the reviews of others. If you ask for reviews, in most cases you will get them. The objective is to get as many positive reviews as possible. Though some sites like Yelp are strictly against solicited reviews, asking for reviews is okay in general. Try getting reviews especially on Facebook and Google My Business page. Ask the customers to post reviews. Get back to your customers’ reviews as soon as possible. Good or bad, make sure to get back to the reviewers. This makes the customers feel important, and they understand the fact that you are paying attention. There are tools that help you manage your reviews and notify you when a review is posted on one of your listings. Creation of a local resource and attaching it on a page of your website can be highly beneficial to SEO. You can get links from schools, hospitals, hotels, travel agencies, news organisations, etc this way. First, think what things to include in your resource and start creating. Try creating a reliable resource that turns into an asset upon proper marketing. You can list the best restaurants in the city, best places to visit, top hotels, top schools, list of holidays, a list of famous events and many more like this. Once you create these guides, they may help increase traffic depending on the content quality. Try promoting these to relevant audiences in Facebook or Google Plus groups. Promote them in places where they are likely to be useful to the viewers. Figure out a place where a lot of people generally gather for different purposes and post it. Besides as a local guide, these may be linked in the blogs and any relevant place. You cannot get backlinks from the businesses that offer the same products or services as you because they are your competitors. What about companies that offer different service or product and you get a backlink from them and you do the same for them? That should work. You can get links from any local business and build a domestic relationship between you. The best way would be to approach the like-minded companies that offer services you don’t and you won’t either. If you are selling medicines, you can provide links to find doctors in your locality. A gift seller can give a link to a greetings card seller in the same way. Taking care of simple steps dedicating some time may have a significant impact on the SEO of a local business. There are many such methods to fulfil the purpose and trying them will increase conversions through better rankings. Conversions are motivating and may even allow the local business to execute more such things paid or unpaid and turn into something big. So, a bit of patience and time to implement these measures are worthwhile. Liakat Hossain is an SEO consultant at WebAlive, a web design and digital marketing agency. He has been helping businesses grow by developing search and content marketing strategies since 2011. Connect with him via Twitter.